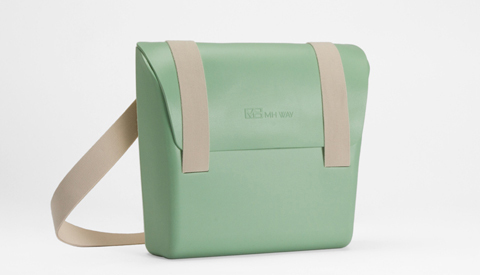 The Mix Match bag by MHWay is a light and transformable rucksack and satchel made from lightweight sustainable plastic. 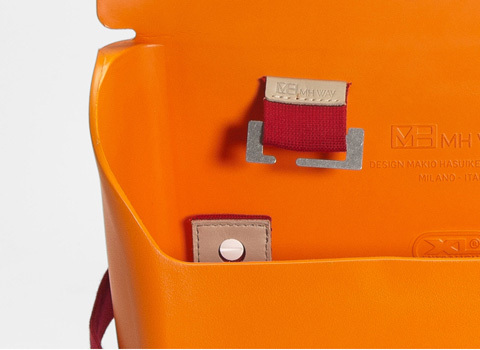 You can make it yours by adding the optional kit hooks that give it a backpack personality, an optional internal knick knack pocket, or (the most cool), by changing the color strap to a new contrasting shade. 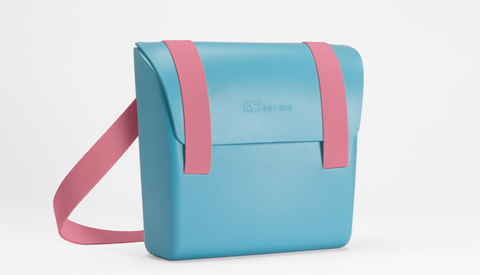 The material is a large part of the beauty of the Mix Match bag, it is listed as ‘lightweight, flexible, elastic, soft, waterproof and Eco-friendly’ – a delightful array. 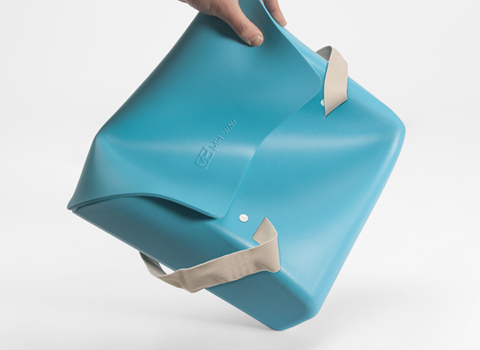 The designers (Italian lords of accessories for everyday creatives) have used the cross-linked polyolefin (to give the technical name) to mould a simple satchel shape with an integrated lid that runs no risk of coming lose. 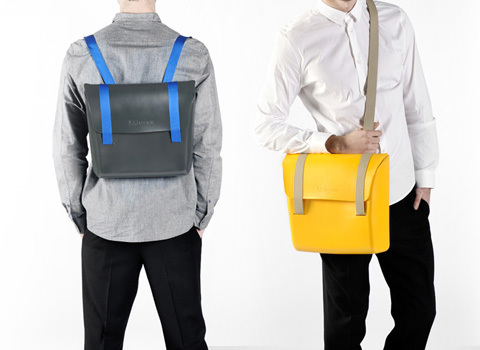 Elastic closing straps and woven backpack straps then hold the whole together. 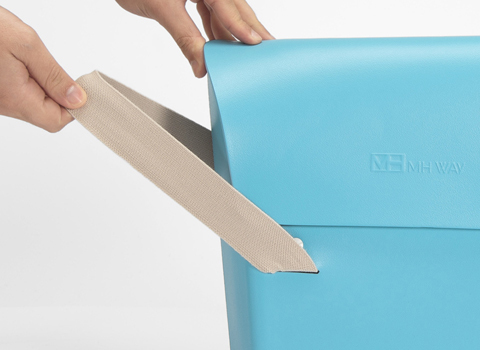 The pallet of six colors for the container and for the straps (plus, thank goodness, each one is displayed online) mean you’re sure to find your perfect capsule hue. Our favorites are the mint green – maroon combo, and the minimalist white-grey combo. 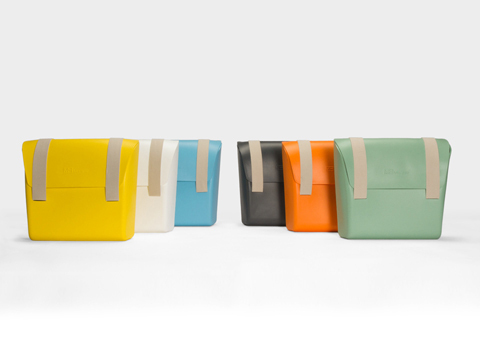 You could also use these as school satchels, in which case little minis will like the yellow-green combo and orange blue perhaps, either way they will feel super special about choosing their own design (plus it’s light and easy to clean). 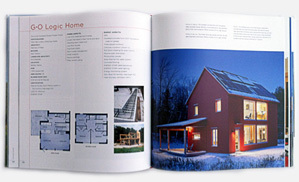 But overall, it would be a shame to keep it for the youngsters – this is truly design for the people, whatever the age. Dimensions: 35cm x 12cm x 31cm, 63g.